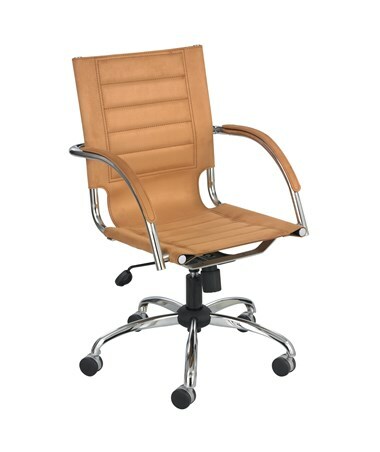 Adjustable height of 18" to 21"
The Safco Flaunt Managers Leather Chair is a sling style chair that comes with a recycled leather or microfiber fabric upholstery. 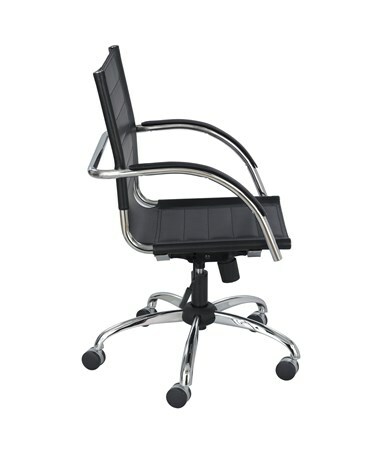 It features a stitched detail on the seat and back that adds a note of contemporary style to it. 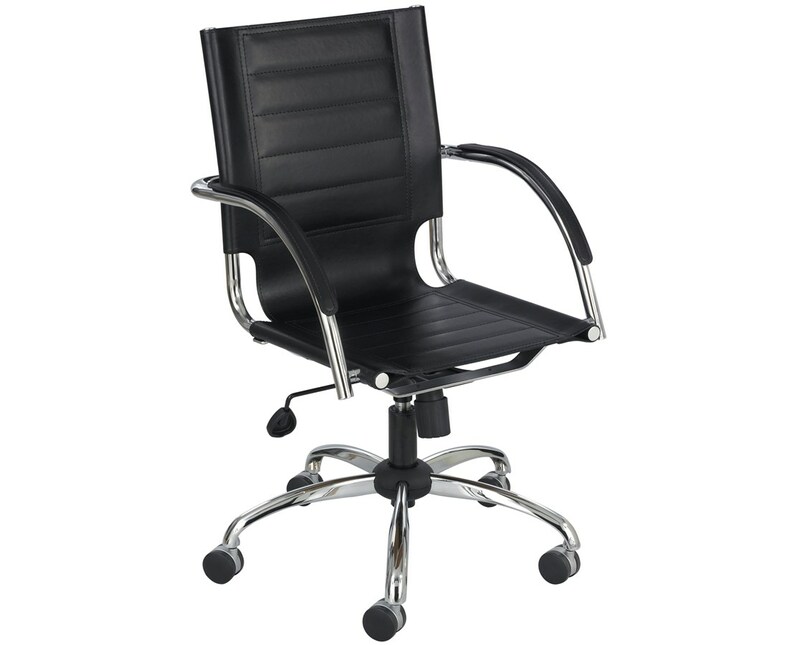 A pneumatic control lever allows the seat to easily, adjust from 18 to 21 inches, and swivel a full 360 degrees. Also featured are the locking tilt control mechanism and the tilt tension control. 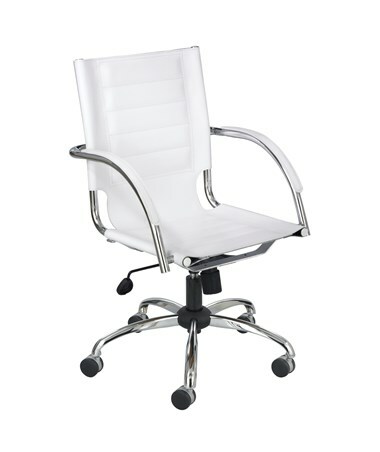 The fabric arms do not only match the chair’s design but also provide additional comfort. 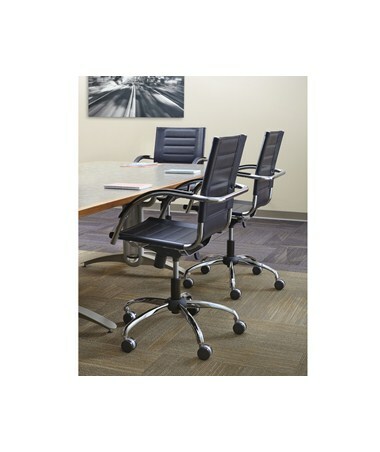 The 25-inches diameter five-star base has 2 ½-inch carpet casters that allow smooth mobility. This manager chair has a frame made of steel and upholstery made from recycled leather or microfiber. The Safco Flaunt Managers Leather Chair is available in four different colors. Please select your preference from the choices above.